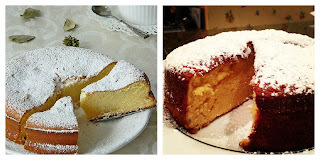 I found an absolutely beautiful condensed milk poundcake on Pinterest via Dr. Ola's Kitchen. The cake looked so perfect, I had to bake one myself. Dr. Ola's beautiful cake on the left, my cake on the right. My cake turned out a bit too dry. I had to bake it for over an hour to get the center to bake. It was good, just not as good as a Sara Lee Pound Cake. Oh my goodness - that is what I set my pound cake standard to. If you want a simple pound cake that you can bake at home (& for less $$ than what a Sara Lee Pound Costs), then for goodness sake, bake this! Mix all ingredients together with an electric mixer & pour into a buttered 22 cm springform pan. Bake in a 350* oven for 40 mins or until a toothpick inserted in the center comes out clean. Yours still looks yummy! I made a pound cake for Moses's birthday, and I was surprised to hear that I was to bake it in a "cold oven". I thought, "Huh?" Turns out, that dense pound cakes like that are supposed to start in a cold oven, then turn the heat on, and bake for the allowed time! I wonder if that would've made a difference? What do I know....? I will try that next time! Tthanks for the tip! !